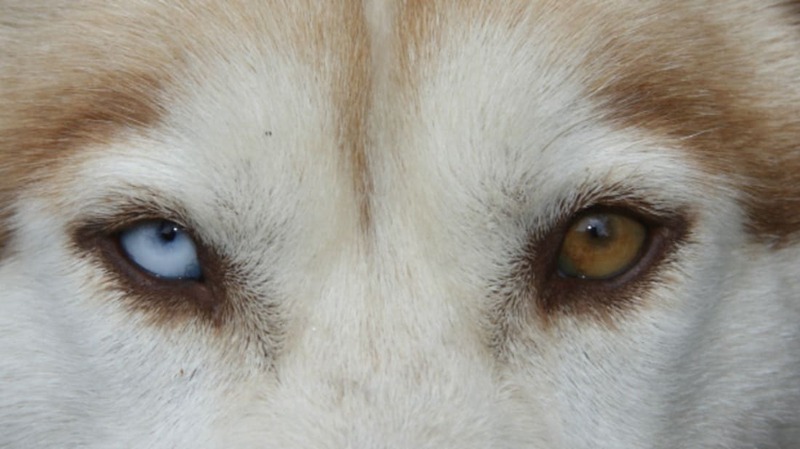 Heterochromia, in case you didn’t know, is just a fancy word for different-colored eyes. It comes in several forms - different colored eyes entirely, eyes that are part one color and part another, or even eyes that are a different color around the pupil than at the outer edges. It’s quite rare, but a surprising number of famous people seem to have been afflicted (blessed?) with it. Here are a few of them. is rumored to have had a hazel eye and a green eye, and according to some stories, may have purposely sought out a horse with unique peepers, too. The actress arguably best known for Blue Crush has one blue eye and one eye that’s blue and hazel. As if he needed another reason to be distinctive, Walken shares Bosworth’s blue-and-hazel combo. Back when Julia Roberts was dating him, she referenced her then-fiancee’s blue-and-green eyes in an acceptance speech. The Lord of the Dance boasts one blue and one green. Dr. Quinn would have been able to diagnose this heterchromia right away, even though Seymour’s case is a bit more subtle with one brown and one hazel eye. has the same colors as Jane Seymour. What, you never noticed? The Black Swan beauty has a green left eye and a brown right eye. Many people think Bowie has two different colored eyes, but that’s not actually what’s going on with his ocular oddity. They’re both blue. What you’re seeing is his permanently dilated pupil. When he was about 15, Bowie got in a fight with a good friend whose fingernail sliced into his eye just so as he got clocked. Doctors were concerned that he would lose his sight entirely in that eye but ended up being able to restore it (albeit with some depth perception and dilation problems). But hey, Bowie doesn’t hold grudges: his sparring partner later did some of the artwork for his album sleeves. Do any of you have heterochromia? Do you get sick of people asking about it?